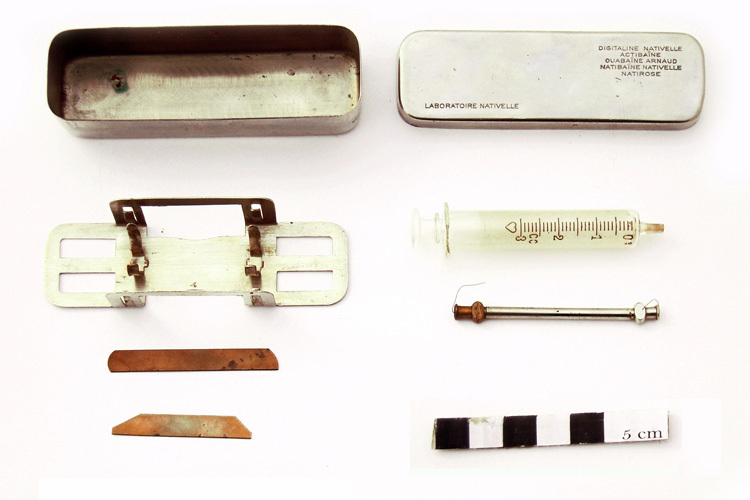 Old LUER's Blown Glass 3cc Syringe Set marked "DIGITALINE NATIVELLE", the original metal plated case have the follow contenent: 2 needle with cleaning wire, 1 needle-holder, 2 little brass files for opening vials. 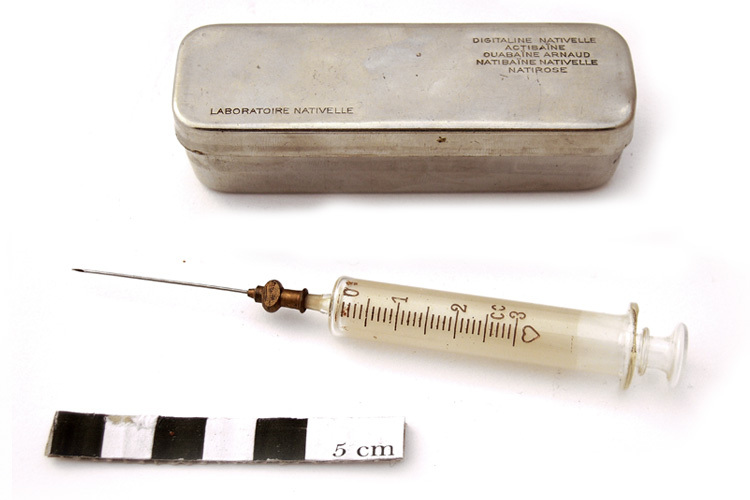 This specific syringe was used for somministration of DIGITALINE, an medicine synthetized from Nativelle Laboratories for heart deseases. 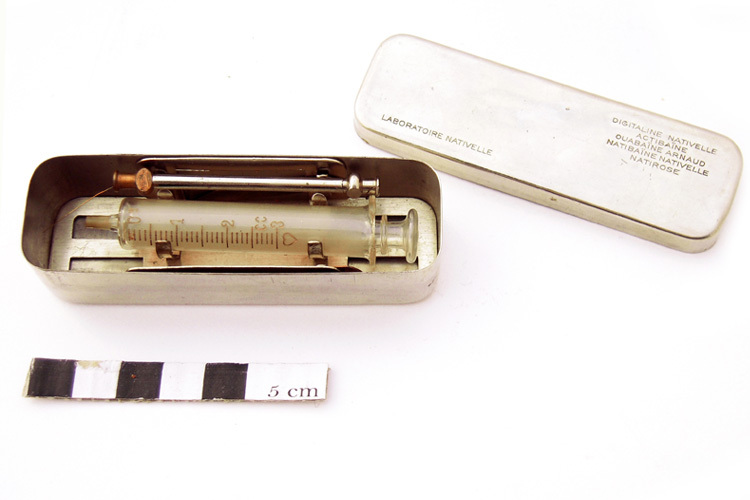 Case size 9x3x2 cm.